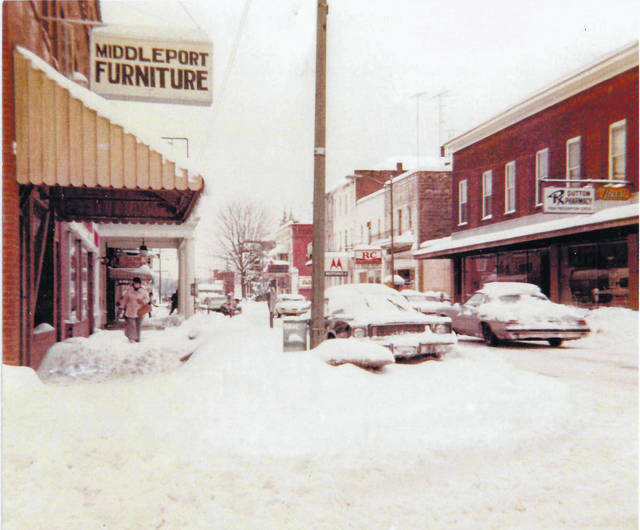 January 1978 brought snow to the region as seen in this photo of a snowy Second Avenue in the village of Middleport. The photo dated Jan. 20, 1978, shows snow on the roadway and cars, as well as piles where the snow had been cleared from the entrances to businesses. One man is even carrying a snow shovel as he walks along the sidewalk.